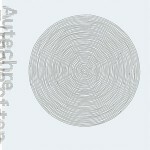 After a few years when releases were increasingly few and far between, it seems as if Autechre have entered a more prolific era in recent years. First, there was Quaristice, in all its versions, then a fairly extensive tour, and two year on, came Oversteps, quickly followed by this sister EP. This surge of releases has coincided with a return to more melodic forms, and this still characterises Move Of Ten, but these are given a very different treatment here. Beats are often rawer, sounds sharper and more abrasive, with occasional industrial textures thrown in, which, right from Etchogon-S, taint this record. With its heavy, syncopated kick drum, acid squelches, and recurring train horn echoed by dissonant chords, pce freeze 2.8i is at once oppressive and hypnotic, its highly mechanical aspect rendered a tad warmer by what sounds like occasional vocal outbursts, although whether these are truly human or entirely artificial remains a mystery. Later, nth Dafuseder.b finds Autechre in rather forceful mood, although here, the pair swap fairly minimal backdrop for widescreen reverbs, something which continues on iris was a pupil, which follows, although here, like on y7 earlier, or no border later on, Autechre adopt a resolutely lighter approach, close to that found on Oversteps. Echoing the beat-driven nth Dafuseder.b, M62, propelled by a stripped down linear beat and almost ambient electronic textures, is perhaps the closest Autechre will ever get to classic Detroit techno. The pace slows down quite drastically on the oddly jazzy ylm0, with its sweeping arpeggio and odd chord progression, but with Cep puiqMX, which closes, Autechre plunge once again deep into murky abstract waters as they work a groove from what sounds like amplified statics into a dense and eerie pulsating soundscape. With their last album moving firmly into more melodic and evocative grounds, Autechre appeared to have partly tamed the overtly abstract nature of their music to give it a more approachable exterior, even if, deep inside, it remained a pretty complex affair. Move Of Ten is not in any way a step back, but here they submit this to a much coarser treatment and bring once again these intricate layers close to the surface. While this EP might not instantly feel as consistent as Oversteps, it actually reaches further and ultimately proves a worthy companion. With Oversteps, I was really glad of the surprise of the broad style changeup at first. Then there was a period where I found it hard to listen to. Then came the ‘now it’s making sense to me’ time. On Move of 10, nothing jumped out at me at first, but very quickly I have found this to be the most attractively listenable Autechre release for myself, both in whole and in part (often I feel each album works better one way or the other), for a long time. I appreciate the feeling I get from them of always changing their position from release to release, and have felt it pretty strongly on both releases this year. I must admit that I prefer Move Of Ten to Oversteps. I like when Autechre give us some really gritty sounds and beats. Probably why I love Chiastic Slide so much. There’s plenty of that here, while there were almost none on Oversteps. It feels a bit like MoT is the nastier side of the well polished and tidy Oversteps. I was trying to say that in the review, but I don’t think I managed it that well. I think this is pretty decent, but nothing particularily special or unexpected. I prefer Oversteps and way that flows as an album, with the beatless tracks and the variety, and I still reckon it`s the most solid and best thing they`ve released since the 90`s.